I cannot print from Quicken, however printing works fine in Microsoft Office and NotePad. Unplug and plug the printer back to your Mac, make sure it is turned on. 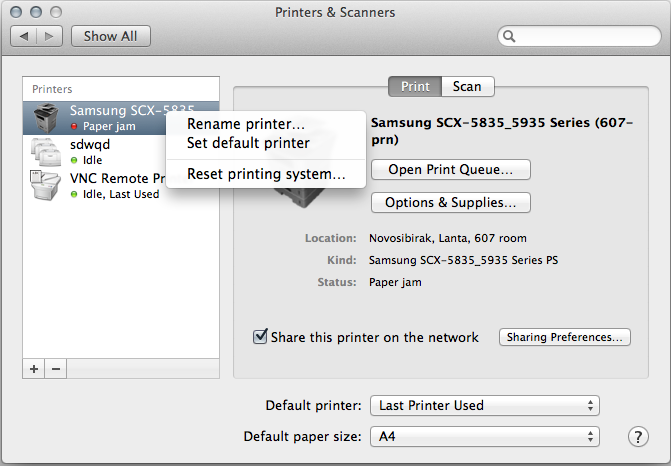 Add your printer to Printers & Scanners by clicking on "+" button and choose your printer. Run Quicken > go to File menu > select Printer Setup > For checks, reports or Invoices. In the opened window choose your printer > click Apply > OK.